We can work with companies, SMB's to large enterprises, to assist you with your health and wellness goals. Insurance Companies, Pharmaceutical Companies, Hospitals, and Health Systems partner with Misfit to revolutionize and redefine the way care is administered. 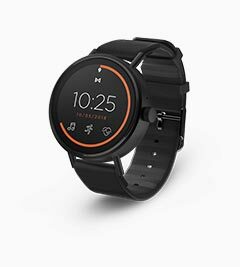 Do you have an app and want to integrate directly with Misfit Devices? 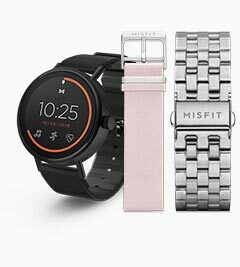 Misfit integrates with many Wellness Platforms that help spread the good word of Misfit. If you are interested in repackaging our devices to pair them with your offering, purchasing our products in bulk for a plethora of use cases, please contact us. Count.It is a next generation workplace wellness platform. Companies and community groups can turn on fitness tracker-driven activity challenges in minutes, and configure push-button rewards for individuals, teams, or for an entire company. The Count.It website and app work on any mobile device or computer, and integrate seamlessly with groups messaging tools like Slack, Hipchat, and Skype for Teams. Count.It Admins can implement modern gym reimbursement programs, monitor community progress, and generate rich reports on program ROI. The company is headquartered in New York City, and is a graduate of the XLerate Health startup accelerator in Louisville, where it was named a 2014 Hot Dozen company. Dacadoo offers a comprehensive health engagement solution for enterprises, which enables individuals to track, manage and benchmark their health and well-being in an easy and fun way. Applying the principle of “what you can measure, you can manage”, Dacadoo visualizes the current health and well-being of an individual with a personal Health Score, a scientifically calculated number from 1 (low) to 1,000 (high). The Dacadoo Health Score works as an indicator and moves up or down in real-time, depending on how the body values, emotional wellbeing, and activities (exercise, nutrition, stress and sleep) change. 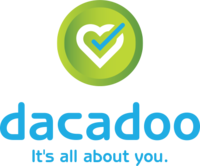 Dacadoo works as health navigator in the pocket, motivates to keep going, rewards for success and helps to achieve goals. For active and sustained user engagement, Dacadoo applies motivation techniques from behavioral science and gaming, as well as social dynamics from groups and social networks. Dacadoo has won several industry awards for its innovative approach and its solution is used by employers, insurers and wellness providers around the world. Dacadoo has offices in Zurich, Switzerland and in the Silicon Valley, USA. Together, EveryMove and Misfit Wearables allow forward-thinking employers to foster an active, happier, and more productive workforce based on physical activity. 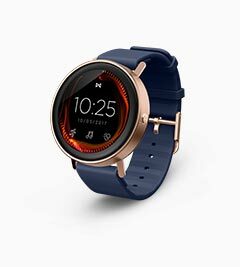 The distribution of Misfit wearable devices encourages employees to engage with coworkers on the EveryMove @Work platform, compete in workplace challenges, and earn employer-sponsored rewards for meeting fitness goals. higi's mission is to engage consumers to take small but meaningful steps in order to create lasting healthy habits. We provide an innovative health and wellness platform that is focused on enabling our partners to better engage with consumers in a simple, fun and rewarding manner. For more information, visit us at https://higi.com. Keas is the leading employee health engagement platform in the workplace. Keas promotes health behavior change and drives risk reduction with an interactive application platform that delivers relevant, personalized content to millions of people. Keas makes it easy for employers to engage employees in an integrated benefits experience, earning incentives and accessing benefits in one user-friendly platform. Keas simplifies health management. Koneksa Health is cloud-based data analytics platform that combines the passive collection of patient data (activity, remote biometrics, patient sentiment, etc.) with contextual environmental data (access to health food vs alcohol/tobacco, air/water/sanitation complaints, weather, etc.) to provide more insight into patients' real world health behaviors and context. At Springday, our approach is innovative and fresh, helping employees reduce their health risk profile and increase their productivity and whilst we are at it we increase employee engagement. We combine the latest thinking in health and wellness, HR and technology to deliver a truly engaging, inspirational experience. RedBrick Health is inspired by a singular purpose: to help people be healthy. We are a consumer health engagement company that delivers real behavior change. We help people improve health and make smarter use of healthcare. We combine behavioral and clinical expertise with adaptive technology, producing a uniquely personal health experience available via web, mobile and live. The result: customized solutions that sustain engagement, reduce cost and improve population health. ShapeUp is the leading global provider of holistic and engaging employee wellbeing solutions. Founded in 2006 by Drs. Rajiv Kumar and Brad Weinberg, ShapeUp has pioneered a revolutionary approach called Social Wellness™ that uses the power of trusted social networks, behavior change science, and engaging technology to enhance the lives of employees around the world. ShapeUp’s platform is available in 138 countries and is used by more than 600 employers. Learn more about ShapeUp at www.ShapeUp.com. SocialWellth, a leader in consumer and prescriptive digital health, enables payers, providers, and employers by delivering a wide spectrum of white label experiences and facilitating a connected experience between members and their payers. SocialWellth enables the curation of digital health experiences by leveraging mobile health technologies that allow for integration and aggregation of all digital assets, which improve the overall consumer experience. With the widest variety of energetic activities, Sonic Boom is the first and only wellness-engagement company committed to improving members’ daily health habits. Boasting the most high-tech (and proprietary!) activity-tracking software on the planet, Sonic Boom is fun and socially contagious – deeply integrating data from leading fitness wearables and driving massive, sustained participation among even the most hard-to-reach employee populations. Sonic Boom is the innovative market leader in challenge variety, program customization, incentive-management flexibility, and Total Client Happiness™ – all in support of its mission to drive small yet meaningful health-habit improvements for life. Sportwip Inc. is an end-to-end digital health company committed to develop innovative solutions to build the social culture within companies and improve the health of individuals. We believe that employees can and should be active participants in managing their own health. Sportwip provides users with a health and engagement platform that implements with most popular wearable devices on the market (e.g. Misfit). Employees can connect and compete with others, track progress towards goals, and earn rewards with the objective of adopting a healthier lifestyle. Sportwip’s vision is to inspire corporations, employees and retailers to improve personal health with trigger, routine and reward concept. Sprout is a social health engagement platform that inspires employees to get fit and empowers employers to manage and quantify their corporate wellness. Sprout is simple to use, visually engaging and employs social networking and gaming techniques to keep employees invested in improving their health. Sprout makes business healthier and more productive while boosting your bottom line. 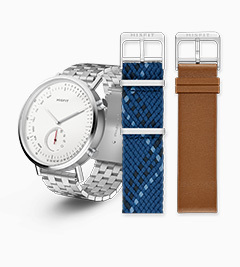 Sprout is an official resale partner of Misfit. Data integration coming soon. Vivametrica provides a first of its kind analytics platform for wearable healthcare. 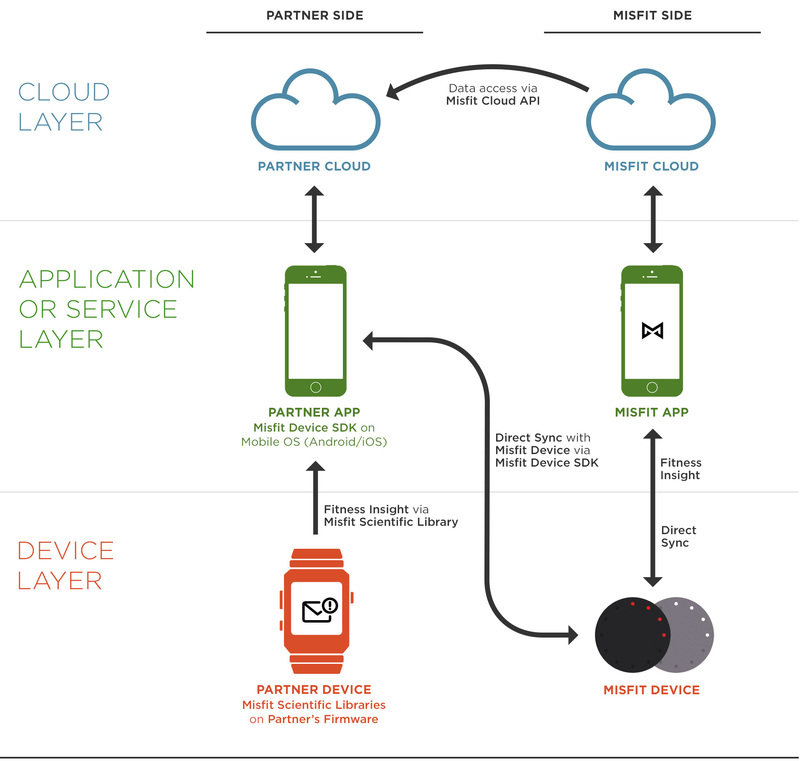 Its device agnostic platform delivers a standardized approach to data collection and management, bridging the gap between wearable fitness applications and actionable data for consumers, enterprises, healthcare and researchers. Created by physicians and researchers, Vivametrica’s approach is based on comprehensive clinical findings in the fields of physical activity, rehabilitation and medicine. For more information, visit www.Vivametrica.com. WellBe is one of the most innovative and effective providers of Employee Health and WellBeing Solutions. We leverage our expert and passionate staff with best in the business strategic partners. We show tangible and ultimately profitable results as we support and enable businesses, communities and individuals to be healthy, energetic and productive. WellBe's unique products include our popular NY based City Athlete athletic training program, and LocalSqr, which bridges the gap between wellness, social responsibility and healthy eating. Limeade is an employee engagement platform that inspires people and companies to improve their health, well-being and performance. With a renewed focus on employee well-being, Coca-Cola launched a number of global initiatives in 2013 and 2014 aimed at providing personalized support, social engagement, and accessible resources to over 60,000 employees. 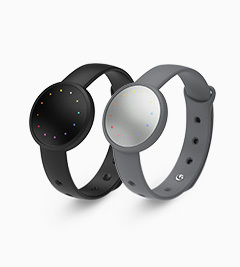 As part of this effort, Coca-Cola partnered with Virgin Pulse to provide an activity tracking and engagement platform and chose Misfit Shine as the preferred activity tracking device to sync with the platform. Employees were offered subsidized Misfit Shine devices and use the Shines to track their steps and participate in challenges and rewards programs via Virgin Pulse. In the US, employees are further incentivized to keep moving with the ability to earn discounts on future health insurance premiums based on steps tracked through Misfit Shines as well as completing other well-being activities. Employees across Coca-Cola's global system are using Misfit Shines - including employees in Mexico, Brazil, Japan, China, South Korea, Hong Kong, Kenya, Nigeria, Ghana, Spain, Argentina, Costa Rica, Chile, Peru, Colombia, Canada, and the US. 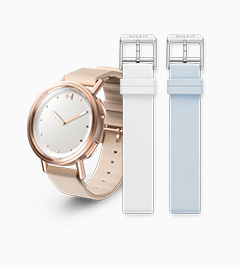 Oscar provides its members with a free Misfit Flash, a fitness and sleep monitor that tracks steps, calories, distance, sleep quality and duration, and even tracks cycling and swimming. 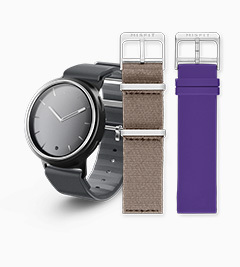 Oscar members can order a free Misfit Flash through the Oscar app for no charge. In addition, Oscar will provide financial incentives to encourage people to stay active throughout the day by walking—members can earn $1 a day when they reach their daily step goals up to $20 a month or $240 a year. Oscar members will be able to track their own health and transmit this information seamlessly to their medical timelines on Oscar’s mobile app. Passport Health Plan, a community-based health plan administering Medicaid benefits in Kentucky, has long run a wellness rewards program. While liked in principle, the program has struggled to engage a critical mass of Passport's 400 employees — and it has also been labor-intensive to administer. Employees have had to manually log their activities, and HR staff then needed to collate and analyze those logs. The program has also lacked a social dimension, or “game mechanics.” Convinced that promoting physical activity is a foundational piece of a comprehensive worksite wellness strategy, Passport is now using a coporate wellness strategy powered by Misfit and Count.It. 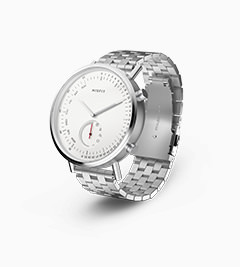 The Count.It platform creates an always-on monthly game, fueled by activity data automatically gathered from Misfit devices, as well as a range of other tracking apps and devices. 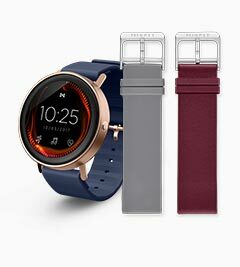 Through the Misfit Corporate Partners program, Passport Health purchased Misfit Flash and Shine devices for all interested employees, and the wellness team can now use the push-button Count.It dashboard to set individual and company-wide activity goals, and to fund a range of fully-automated rewards. Count.It is simple to use and highly social: Passport employees compete on internal company leaderboards, but they can also band together to battle rival companies and climb Metro area leaderboards. Springday's client AGL, wanted to get people moving more before, during and after work. Having tried the traditional ‘step challenge’ they wanted to try something new, innovative and fresh. Plus, they wanted to ensure that employees were easily rewarded for all activity, not just steps, and they wanted to remove previously experienced ‘conversion error’. 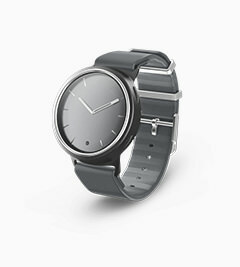 Springday delivered: A seamless easy to use AGL branded experience for employees, integrated with the Misfit Shine. 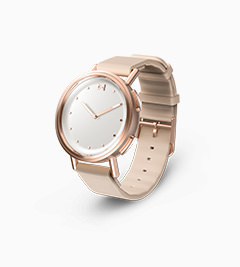 The Shine enabled employees to track ALL activity by easily switching between myriad of activity such as walking, cycling, yoga, surfing or even playing netball. The Misfit API integrated beautifully into our platform, enabling us to manipulate the data and reward the behaviour our clients were looking to see such as biggest improvers and biggest movers week on week and overall, via team, location and individual. If you’re interested in getting started in a health and wellness program, partnership, or integration with Misfit, please contact us using the form below. All fields are required. If you are trying to reach customer service, please contact support.